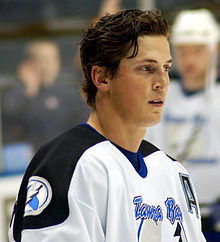 For a sport where you are almost always required to wear a helmet, a hockey player’s hair is very important. Having a luscious set of locks is something that is deeply rooted in the history of the game. 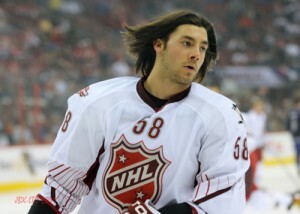 There are new age beauties who used to rock the flow such as Erik Karlsson and Kris Letang. There were the legendary mullets of the 80s and 90s like the one famously worn by Jaromir Jagr. And there were even the old guys who could never give up the lifestyle such as Al Iafrate who rocked the infamous skullet. Heck, there is even a guy who makes a video every year that rates the best flow in the Minnesota State High School Hockey tourney! ESPN E60 did a feature segment on the hockey hair phenomenon called Minneflowta. But one thing that all of these legends have in common is that they took the time and proper steps in order to achieve the amazing hair that everyone is looking for. Lucky for you, the Hockey Player’s Club is here to help! If you follow these steps you’ll have the lettuce flowing out the back of your bucket that will make everyone you play with or against jealous. Long flowing hair is not something that happens overnight. It is a lengthy commitment that will require dedication. Phase 1 is committing to the process. 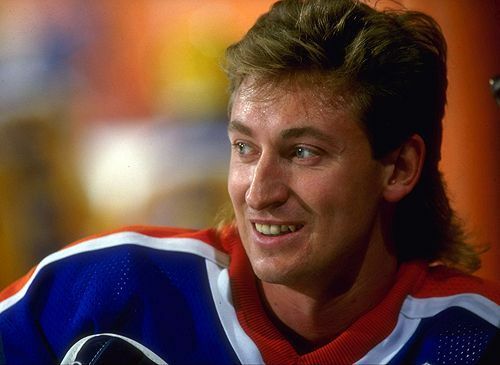 Take a picture of your favorite hockey player’s hair to the barber shop with you. Tell them this is what you are going for and ask them to give you a “shaping cut” that will start you in the right spot. Here is my personal recommendation. This phase will take a while. Many people, unfortunately, refer to this as the “awkward stage”. It is where many dreams of hair spewing from the sides and back of your helmet go to die. It is the period from shaping cut to girls asking how you got your hair so good. It will take AT LEAST 4 months for your hair to come in where you want, so you better be patient. Keep thinking about your crazy salad blowing in the wind behind you as your name is called during pregame intros. Instead of getting discouraged take this time to train your hair. Every morning wet your hair down really well and pull it back under a hat. Your hair won’t want to go back naturally but unless you teach it you’ll end up looking more like Justin Bieber than Patrick Kane. After a couple of weeks, your hair will start going back naturally but you’ll still need the hats to hide what your hair has become. Now you are starting to have strands of hair poke out behind your ears and in the back of your helmet. You may have people throwing chirps your way but just brush it off because you know what greatness is to come. This is a good start but it is actually time for another shaping cut. Go into the barber and ask them to clean it up a little behind the ears and in the back. But be sure to express that you do not want a lot to be taken off and that you don’t want the top or front to be touched at all! You are only cutting these parts to allow the front and top to catch up to them. Also, ask the person cutting your hair if they have any tips on products you could use to help shape your hair for the days when you won’t need to tame your salad with a hat. Also, this is the time to stop shampooing your hair every day. It may sound gross but it is actually healthier and will make sure your salad looks sick and not like straw. Keep strong with the hats and don’t let your confidence go. Your lettuce might not be unreal yet but you are very, very close. You have now reached the promised land! After months of love, care, hard work, combing, hats, conditioner, and awkward looks you have finally achieved the amazing hockey hair you dreamed about before the season. Best of all, if you started on time your hair should be peaking right around playoff time when the barn gets most packed. You are now part of a very exclusive club of those who were strong enough to battle through the awkward stage and come out stronger on the other side. Life is a lot easier now. You can go out and not feel naked and weird without a hat. Girls will come up out of nowhere and just stare at your luscious locks. Bald guys will envy you and other hockey players will want to be you. You can not completely neglect your hair now, however. Make sure it stays in control. Keep it trimmed and looking right. 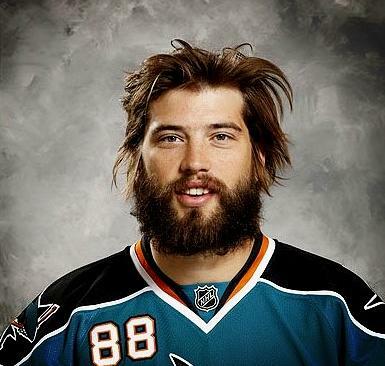 You are a beauty, not a cave man…(cough, cough, Brent Burns). Take a picture whenever you can and make sure to get a photographer to your games from now on. Also, pop the bucket off whenever you get a chance whether it’s in warmies, after a goal, for a fight, in the penalty box…you get the idea. Show off that salad as much as possible! So now we can say congrats rookie you have put in the effort and have now made it to the big time. Flow on! Can I still grow flow if i have Italian curly hair? Absolutely… just might have an Ogie Ogilthorpe look instead of the normal flowing locks.